"I labored at the task [writing The Institutes] especially for our Frenchmen, for I saw that many were hungering and thirsting after Christ and yet that only a few had any real knowledge of him." With his brother and sister and two friends, John Calvin fled Catholic France and headed to the free city of Strasbourg. 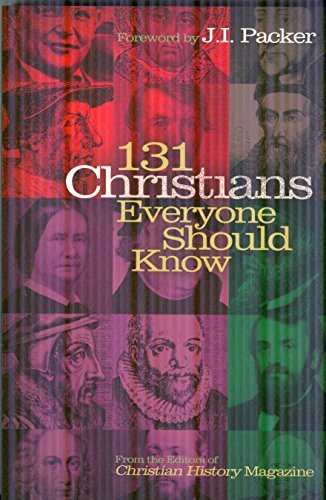 It was the summer of 1536; Calvin had recently converted to the "evangelical" faith and had just published The Institutes of the Christian Religion, which articulated his Protestant views. He was a wanted man. The party put up at an inn in Geneva, and word quickly passed to local church leader William Farel that the author of The Institutes was in town. Farel was ecstatic. He was desperate for help as he strove to organize a newly formed Protestant church in town. He rushed to the inn and pleaded with Calvin, arguing it was God's will he remain in the city. Calvin said he was staying only one night. Besides, he was a scholar not a pastor. Farel, baffled and frustrated, swore a great oath that God would curse all Calvin's studies unless he stayed in Geneva. Calvin, a man of tender conscience, later reflected on this moment: "I felt as if God from heaven had laid his mighty hand upon me to stop me in my course—and I was so terror stricken that I did not continue my journey." To this day, Calvin's name is associated, for good and for ill, with the city of Geneva. And Calvin's belief in God's election is his theological legacy to the church. The "whole sum of godliness"
Calvin was born in 1509 in Noyon, France. His father, a lawyer, planned a career in the church for his son, and by the mid-1520s, Calvin had become a fine scholar. He spoke proficient Latin, excelled at philosophy, and qualified to take up the intensive study of theology in Paris. Suddenly, though, his father changed his mind and decided John should achieve greatness in law. John acquiesced, and the next five or six years saw him at the University of Orleans, attaining distinction in a subject he did not love. During these years, he dipped into Renaissance humanism. He learned Greek, read widely in the classics, and added Plato to the Aristotle he already knew. He developed a taste for writing so that by age 22, he had published a commentary on Seneca's De Clementia. "He [God] tamed to teachableness a mind too stubborn for its years—for I was strongly devoted to the superstitions of the papacy that nothing less could draw me from such depths of mire. And so this mere taste of true godliness that I received set me on fire with such a desire to progress that I pursued the rest of my studies more coolly, although I did not give them up altogether." He became marked out as a "Lutheran," and, when persecution arose in Paris (where he had returned to teach), he sought refuge in Basel. There he penned the first edition of a book that was to affect Western history as much as any other. The Institutes of the Christian Religion was intended as an elementary manual for those who wanted to know something about the evangelical faith—"the whole sum of godliness and whatever it is necessary to know about saving doctrine." Calvin later wrote, "I labored at the task especially for our own Frenchmen, for I saw that many were hungering and thirsting after Christ and yet that only a very few had any real knowledge of him." In The Institutes, Calvin outlined his views on the church, the sacraments, justification, Christian liberty, and political government. His unique and overarching theme is God's sovereignty. He taught that original sin eradicated free will in people. Only by God's initiative can anyone begin to have faith and thus experience assurance of salvation. In this and later editions, Calvin developed the doctrines of predestination, or election. More importantly, he argued for the indefectability of grace—that is, grace will never be withdrawn from the elect. This was Calvin's pastoral attempt to comfort new believers. In medieval Catholicism, believers remained anxious about their spiritual destinies and were required to perform more and more good works to guarantee their salvation. Calvin taught that once a believer understands he is chosen by Christ to eternal life, he will never have to suffer doubt again about salvation: "He will obtain an unwavering hope of final perseverance (as it is called), if he reckons himself a member of him who is beyond hazard of falling away." After fleeing France to escape persecution, Calvin settled in Geneva at Farel's bidding. But after a mere 18 months, he and Farel were banished from the city for disagreeing with the city council. Calvin headed again for Strasbourg, where he pastored for three years and married Idellete de Bure, the widow of an Anabaptist, who brought with her two children. By 1541 Calvin's reputation had spread: he wrote three other books and revised his Institutes. (Still more revisions came in 1550 and 1559, eventually amounting to 80 chapters.) He had become close friends with leading Reformers like Martin Bucer and Philip Melanchthon. He was asked to return to Geneva by city authorities, and he spent the rest of his life trying to help establish a theocratic society. Calvin believed the church should faithfully mirror the principles laid down in Holy Scripture. In his Ecclesiastical Ordinances he argued that the New Testament taught four orders of ministry: pastors, doctors, elders, and deacons. Around these, the city was organized. Pastors conducted the services, preached, administered the Sacraments, and cared for the spiritual welfare of parishioners. In each of the three parish churches, two Sunday services and a catechism class were offered. Every other weekday, a service was held—later on, every day. The Lord's Supper was celebrated quarterly. The doctors, or teachers, lectured in Latin on the Old and New Testaments usually on Mondays, Wednesdays, and Fridays. The audience consisted mainly of the older schoolboys and ministers, but anyone could attend. In every district, elders kept an eye on spiritual affairs. If they saw that so-and-so was frequently the worse for drink, or that Mr. X beat his wife, or that Mr. Y and Mrs. Z were seeing too much of each other, they admonished them in a brotherly manner. If the behavior didn't cease, they reported the matter to the Consistory, the church's governing body, which would summon the offender. Excommunication was a last resort and would remain in force until the offender repented. Finally, social welfare was the charge of the deacons. They were the hospital management board, social security executives, and alms-house supervisors. The deacons were so effective, Geneva had no beggars. The system worked so well for so many years that when John Knox visited Geneva in 1554, he wrote a friend that the city "is the most perfect school of Christ that ever was in the earth since the days of the apostles." Calvin, for his part, preached twice every Sunday and every day of alternate weeks. When not preaching, he lectured as the Old Testament professor three times a week. He took his place regularly on the Consistory, which met every Thursday. And he was either on committees or incessantly being asked for advice about matters relating to the deacons. He was in no way the ruler or dictator of Geneva. He was appointed by the city council and paid by them. He could at any time have been dismissed by them (as he had been in 1538). He was a foreigner in Geneva, not even a naturalized citizen, until near the end of his life. His was a moral authority, stemming from his belief that, because he proclaimed the message of the Bible, he was God's ambassador, with divine authority behind him. As such, he was involved in much that went on in Geneva, from the city constitution to drains and heating appliances. His role in the infamous execution of Michael Servetus in 1553, then, was not an official one. Servetus fled to Geneva to escape Catholic authorities: he had denied the Trinity, a blasphemy that merited death in the 1500s all over Europe. Geneva authorities didn't have any more patience with heresy than did Catholics, and with the full approval of Calvin, they put Servetus to the stake. Calvin drove himself beyond his body's limits. When he could not walk the couple of hundred yards to church, he was carried in a chair to preach. When the doctor forbade him to go out in the winter air to the lecture room, he crowded the audience into his bedroom and gave lectures there. To those who would urge him to rest, he asked, "What? Would you have the Lord find me idle when he comes?" His afflictions were intensified by opposition he sometimes faced. People tried to drown his voice by loud coughing while he preached; others fired guns outside the church. Men set their dogs on him. There were even anonymous threats against his life. Calvin's patience gradually wore away. Even when he was patient, he was too unsympathetic sometimes. He showed little understanding, little kindness, and certainly little humor. Calvin finally wore out in 1564. But his influence has not. Outside the church, his ideas have been blamed for and credited with (depending on your view) the rise of capitalism, individualism, and democracy. In the church, he has been a major influence on leading figures such as evangelist George Whitefield and theologian Karl Barth, as well as entire movements, such as Puritanism. Day to day, church bodies with the names "Presbyterian" or "Reformed" (and even some Baptist groups) carry forward his legacy in local parishes all over the world.